I remember a time when contact lenses were not really even a choice for eyeglass wearers. But thankfully, they are the norm these days. 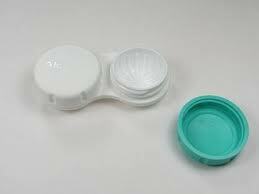 However, I think there is still a stigma behind contact lenses that they cost way more than glasses. As with eyeglasses, the cost of contact lenses varies widely, depending on the brand, the prescription, and how often the lenses are replaced. 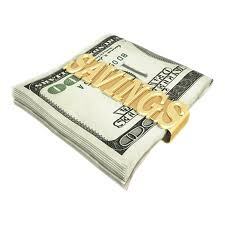 And they definitely don't have to be the more expensive option because there are a lot of ways to save! Today, I want to share with you some great tips for saving when buying contact lenses. Always Evaluate All Options Before You Buy: Make sure before you buy to always check out all your options. Don't make impulsive moves, but check out all contact lenses retailers including optical stores, mass merchants, Internet sites, and your eye doctor. Don’t automatically assume that any one of these will be cheaper. I recently learned about a great prescription contact lens company, 1-800 Contacts, that is a great resource for those looking to save money when shopping for corrective lenses. They are a great option if you are looking for affordable brand name products (Acuvue, Coopervision and so on). Click here to see their name brand contact lenses. Compare Prices: To get the best price on contact lenses, you have to comparison shop. Unfortunately, this can take time and be complicated but it will be worth it in the end when you save a bunch of money. And remember that pricing can change often, particularly at Internet sites. That's why sites like 1800contacts.com are great because they allow for comparison shopping. Also, consider the positives and negatives of different types of contact lens sellers including shipping costs, gas to drive to a retailer, etc. Check your Health Insurance Plan: Always check your insurance plan to see if you have a vision benefit package that can give you a discount and save you some money. Some plans give a simple percentage discount (for example, 15 percent off) at participating brick-and-mortar retailers. The prices from your insurance plan's seller may or may not be better than what you can find elsewhere. Consider this as one option as you shop around. Ask About Price Matching. Many stores and websites claim to have the lowest prices and will, therefore, match any price for a particular brand or type of contact lenses. 1-800 Contacts has this feature and offers a price matching guarantee! Look for Free Shipping: Sometimes you can avoid shipping costs by ordering larger quantities or by buying a certain price of lenses. (For example, 1-800 Contacts offers free shipping on orders over $50). Also, don’t wait to buy your lenses at the last minute because standard shipping is often free, but expedited delivery usually will cost you extra. Read the Small Print: This is one thing I have learned the hard way! Always read the small print because sometimes a minimum purchase is required to qualify for discounts, and shipping and handling fees might increase your overall cost. Check Return Policy Before You Buy: Make sure to always have a back-up plan if something is wrong with the contact lenses. For example, if you purchase a contact lens that is damaged, does your source have a good return policy? Bottom Line on Buying Contact Lenses: To get the most value from your purchase, you'll need to think about what best meets your needs, and do some price-comparison shopping. It definitely takes time but in the long run, if you want to save money, you can do it with some time and effort on your part!